Fiery red paint jobs have been receiving a lot of love among South African motorists yet when it comes to car colours the majority of local car-buyers still prefer rental-car friendly white. 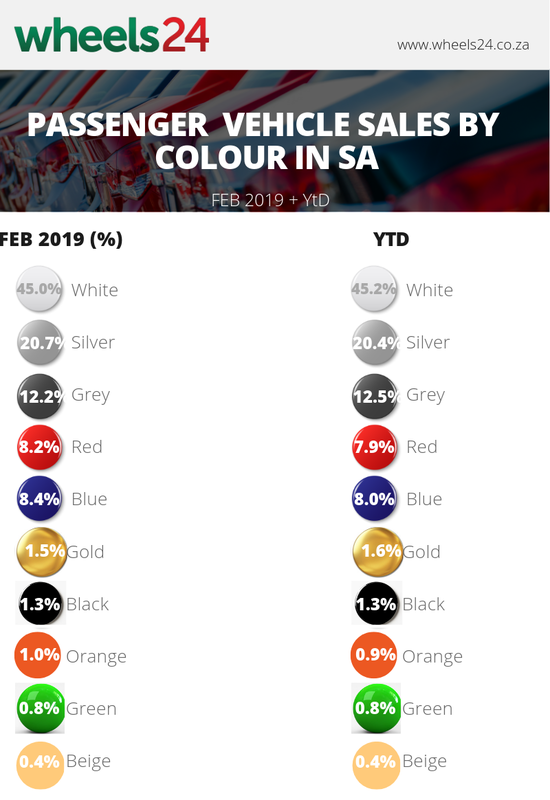 Red is proving popular in 2019 with a huge increase from 0.1% in 2018 to 8.2% during the month of "love" placing it 4th in terms of the most popular car colours during February. However, white paint jobs still continue to be a favourite among SA motorists, outshining all other colours in 2019. Lighstone Auto provided us with data, listing car sales in 2019 by colour.